The Los Angeles City Attorney’s Office announced Tuesday that it had filed civil actions against members of a white supremacist gang that could result in evictions. 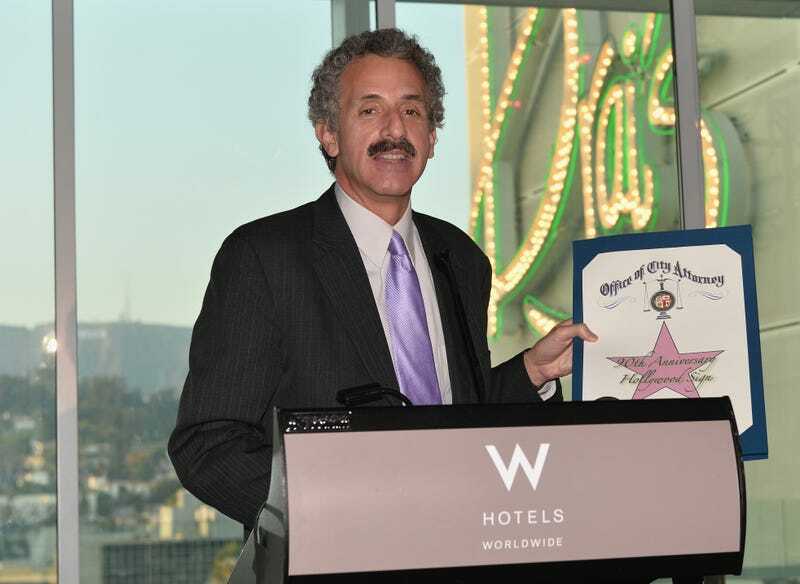 City Attorney Mike Feuer filed nuisance-abatement orders against several members and associates of the San Fernando Valley Peckerwoods, which the Los Angeles Times reports is a known white supremacist gang that has been accused of involvement in drug and weapons trafficking, identity theft and other crimes. According to the Times, properties in Granada Hills and Canoga Park were known havens for drug and gang activity, and investigators have been monitoring them for months. Feuer said that police have recovered stolen vehicles and credit cards as well as heroin and methamphetamine on multiple occasions from the Granada Hills home of Johnny Reed, a Peckerwoods member. Reed is alleged to have ties to the Aryan Brotherhood, a white supremacist prison gang. Feuer said that it was especially important to take action against racist criminal organizations at a time when hate crimes are perceived to be rising. “We’re now fighting to prevent white supremacist gangs from infesting our neighborhoods, and they bring with them, of course, this toxic mix of violence and crime and hate,” Feuer said. Nuisance abatements are a tool used by law enforcement to improve the quality of life and get rid of any unwanted activity or people in a particular area or neighborhood. The Los Angeles Citywide Nuisance Abatement Program, the first of its kind, was established in 1997. It is coordinated under the city attorney and is a multiagency effort involving the Los Angeles Police Department, the Department of Building and Safety, the Housing Department and the Planning Department. Police and code enforcers use building codes, fire codes, zoning and other legal means to force building owners to take action against problematic tenants. In the case of the Peckerwoods, the Times reports that each of the homes is located near a high school or a middle school. Schools are drug-free zones in the state of California. The complaints were filed against Reed and Erik Cutshaw, a known associate of the Peckerwoods gang, as well as their respective property owners. Feuer’s office was able to compel “informal” changes at a third property after a gang member there detonated a pipe bomb earlier this year during an intra-gang feud. If the city attorney’s office wins the abatement orders, it will be able to compel changes to the condition of each property. The Times reports that normally, owners comply and find new tenants, but if the owners don’t cooperate, the residences could be shut down as a last resort. Feuer said that the activities of hate groups in Los Angeles County have become an increasing concern in the wake of a reported surge in bias incidents and crimes.